Welcome to Natural Afterbirth Placenta Encapsulation Services! Placenta capsules help many new mothers balance hormones, combat postpartum depression, and heal faster. 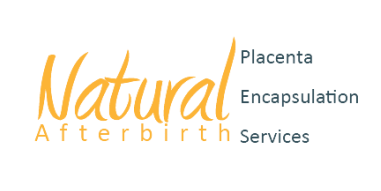 Working with natural childbirth centers, local midwives and doulas, Natural Afterbirth conveniently offers Placenta Encapsulation services for mothers in the Atlanta Metro Area. We love to meet new mothers. We enjoy hearing your stories, your ideas, your concerns, and discovering how we can be a helpful part of your birth experience. We look forward to hearing from you. Our mission is to create a joyful afterbirth experience by making the natural benefits of placenta encapsulation conveniently accessible to mothers in and around Atlanta, GA.
Natural Afterbirth brings the benefits of placenta encapsulation conveniently to you. Our services create a more positive and joyful experience for the mother and child using the natural resources your body produces. Let us work with you to address your postpartum baby blues and bleeding, replenish your iron and B6, and improve breast milk production. By reintroducing your own body's natural nutrients and hormones found in the placenta, we provide a safe and effective means to proactively avoid common post-birth challenges. We invite you to call and discuss with us your birth plans and expectations to see how our program may address your needs. Natural Afterbirth is designed to make placenta encapsulation services simple and efficient for families across the Atlanta Metro area. Our program can provide quick pick-up, preparation and delivery to your door. 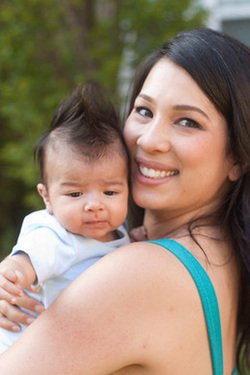 It is our goal to enhance the joy of the post-birth experience for mothers, babies and families wherever they may be! "I have been so pleased with the placenta encapsulation. I decided to do it because of my struggle with postpartum anxiety after the birth of my daughter. In the weeks following this birth I felt so much lighter and had no baby blues this time. My milk supply was tremendous, which was an added bonus. thinking I didn’t want to leave him like I did with my daughter. I feel the placenta encapsulation was key to feeling better this time." "I decided to give placenta encapsulation a shot after doing much research on the benefits of it (decrease in baby blue and depression, increase in energy, increase of breast milk, and provides natural iron just being a few of them). I figured let me give it a try, it defiantly can’t hurt. As per Melanie’s instructions I got my cooler and bag ready to take to the hospital. She was great as soon as my husband called her she was there to pick up the “goods” and the next day she already delivered them to me and I was already taking the pills. I really believe these pills helped me with the baby blues. Since the start of me taking the pills I felt like I stayed positive and energetic. Placenta Pills defiantly aid in healing a mother’s body!!!" Placentophagy and placenta encapsulation are not currently licensed and Afterbirth Anywhere, LLC (hereafter referred to as Afterbirth Anywhere) is not a licensed health care facility and Placenta Encapsulation Specialists, while trained in placenta processing by certifying agencies or mentored by Placenta Encapsulation Specialists, are not licensed healthcare professionals and are unable to diagnose, treat, or prescribe for any health condition. Services and fees are solely for the preparation of your placenta and not for the sale of capsules, tinctures or any products. Any benefits from placentophagy will vary from person to person. Reported benefits are based on anecdotal experience and no statements or research on the benefits of placentophagy have been evaluated by the FDA. Placenta services are not meant to be a replacement for medical advice or prescription medicines. Consumers choose placentaphagy based on personal beliefs and no specific individual benefits or effects are promised.